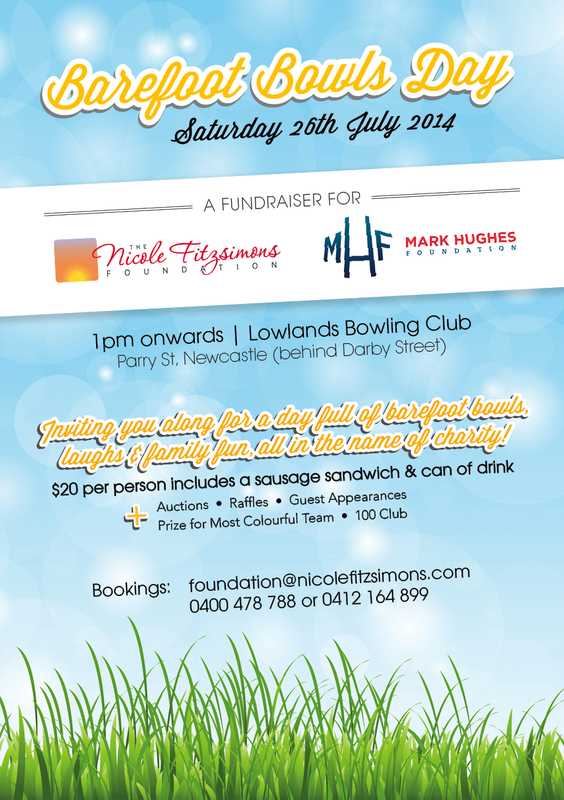 To all friends & supporters, please join us for a fun afternoon at our NFF BAREFOOT BOWLS FUNDRAISER, in conjunction with Mark Hughes Foundation, on Saturday 26th July! Kicking off at 1pm at Lowlands Bowling Club in Newcastle, come along to enjoy some laughs on the green and chances to win prizes for the most “Colourful” teams, raffles and auctions in of support local charities making a difference in your community! Mark Hughes Foundation was formed in the name of highly respected former Newcastle Knights Rugby League player who was diagnosed with brain cancer in 2013 and raises funds to support brain cancer research. 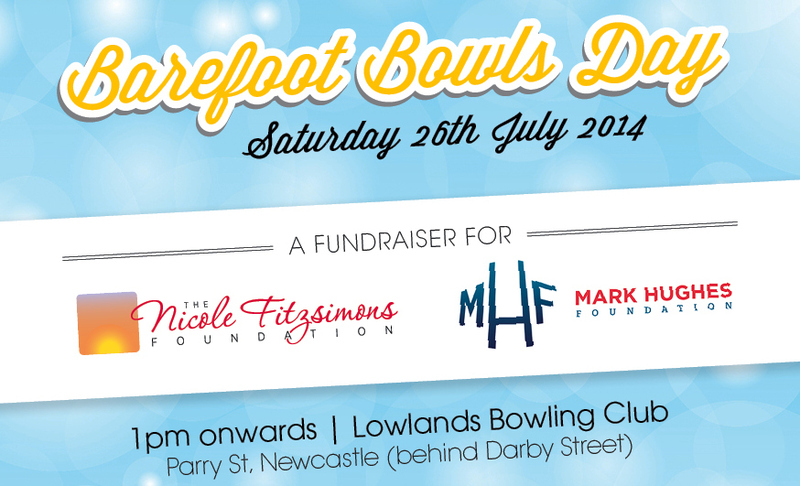 NFF is proud to be donating funds raised from our Bowls Day to this very worthy cause. Make it a fun afternoon out for the family, with kids tickets only $10 each! Email foundation@nicolefitzsimons.com or Facebook message this page to book tickets or donate prizes. We can’t wait to see you there!